Even those who have a vague understanding of Mexican history have heard the story of the Spanish Conquest: A conquistador named Hernán Cortés, along with a handful of other Spaniards, marched into the Aztec capital of Tenochtitlán, imprisoned the Aztec Emperor Montezuma and within two years the Aztec Empire was completely subjugated. The Spanish were the new uncontested rulers of the area, renaming the capital Mexico City and calling their colony New Spain, and easily maintained a grip on power over the defeated indigenous people, most of whom were glad to see the Aztecs removed from power. Many people do not realize that the Spanish control over New Spain was tenuous at times and their power was constantly being tested by native groups. One such rebellion, called a “war” by many historians, was a two-year conflict – begun in 1540 – led by a man called Tenamaxtli of the Caxcan people. To those astute experts in Mexican history, this conflict is known as the Mixtón War, named after the hill in the modern Mexican state of Zacatecas which served as the center and ultimate stronghold for the native resistance. The man known as Tenamaxtli was born in an indigenous town located north of modern-day Guadalajara called Nochistlan, sometime around 1510, about a decade before Cortés crossed the causeway and entered the Aztec capital of Tenochtitlán. Tenamaxtli, whose name in the Uto-Aztecan language of the Caxcan people means, “stones heated by fire,” is often described as the “lord” or tlatoani of Nochistlan, but it is unknown if he was noble by birth or if that was an honorary title bestowed upon him by his people during or after the war, or if that title was given to him by Spanish chroniclers in their histories of the region. Tenamaxtli was described as being tall and muscular and was known for his contemplative and self-reflective nature. 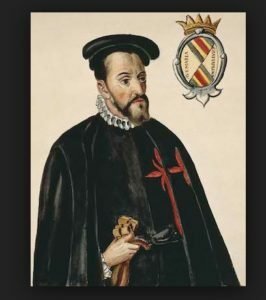 In Spanish accounts written after the 1540 war, he was described as someone preoccupied with higher ideals such as peace, fairness and natural law. Tenamaxtli was an older teenager or young adult when the first Europeans arrived in the territory of the Caxcan people. In 1529 a group of between 300 and 400 Spaniards, along with 5,000 to 8,000 Aztecs and Tlaxcalans under the command of Nuño de Guzmán entered the Caxcan town of Nochistlan. The Nuño de Guzmán mission was one of exploration and conquest. During his 6 years of traveling on the northern fringes of the former Aztec Empire and beyond, Guzmán and his lieutenants established many towns, such as Guadalajara, and formed a new Spanish province called Nueva Galicia. 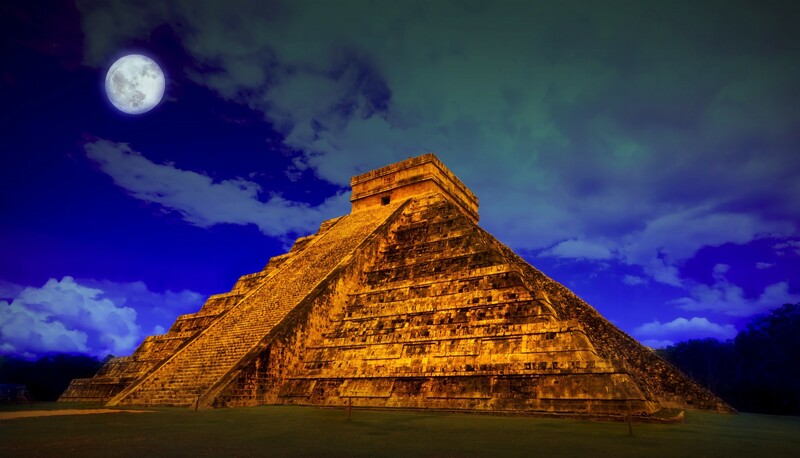 He also explored many areas of modern-day Mexico previously unknown to Europeans, specifically lands in the contemporary Mexican states of Jalisco, Durango, Sinaloa, Nayarit and Zacatecas. It was during the Guzmán expedition’s occupation of the Caxcan territories when Tenamaxtli at least nominally converted to Christianity and adopted the name Francisco Tenamaxtli. While he was forced to accept his new Spanish rulers, what Tenamaxtli had witnessed unfolding around him deeply troubled him. The Nuño de Guzmán period was violent even by conquistador standards and many injustices and atrocities were committed against the native population. Members of the Guzmán expedition frequently raided indigenous settlements to capture people to sell into slavery and many members of the local native elite or priestly classes were executed. Nuño de Guzmán enacted the Spanish Empire’s encomienda system over the newly conquered territories. Conquistadors or those owed favors by the Crown were given the right to Indian labor or tribute over a certain geographical area. The rights were granted to the encomendero, or the holder of the title of the encomienda, in perpetuity and the right to Indian labor was passed down to the encomendero’s heirs. This essentially enslaved large segments of native populations to work in the fields or the mines at the pleasure of their Spanish overlords. There was so much abuse in this system that by the year 1540 the indigenous peoples throughout Nueva Galicia had had enough. The “last straw” incident occurred in the middle of 1540 when 18 members of the local native elite were arrested and 9 were executed. The Caxcanes joined with the Zacatecos and other more nomadic Indians from the north, collectively called “Chichimecas,” and left the encomiendas in rebellion. One encomendero, a man named Juan de Arze, was killed along with two Catholic priests. The Indians felt emboldened, some historians theorize, because the Coronado expedition had recently passed through the area and recruited 1,600 able-bodied Spaniards and Indian allies to head north to explore what is now called the American Southwest. With the lack of manpower to put down an uprising the Caxcanes and their allies saw their opportunity to revolt. Many Indians fled the haciendas and mines and holed up in the mountains, the hill of Mixtón being the principal place for them to regroup. Under the leadership of Tenamaxtli and a Zacateco warrior named Diego, the native rebels planned their guerrilla war against the Spanish. The acting governor of the province of Nueva Galicia, Cristobal de Oñate, sent a peace delegation to the mountains consisting of a Catholic priest and ten Spanish soldiers to meet with Tenamaxtli. When news arrived at Guadalajara that the members of the delegation were all killed, Oñate sent a contingent of soldiers to storm Mixtón but were swiftly defeated by Tenamaxtli’s men. It was at this point when Oñate appealed to Viceroy Antonio de Mendoza in Mexico City to send reinforcements to quell the rebellion. The next phase of this war started in the spring of 1541 when Viceroy Mendoza sent seasoned conquistador Pedro de Alvarado to Nueva Galicia to deal with the Caxcan problem. The 55-year-old Alvarado was involved with the conquest of Cuba, the conquest of Guatemala and also accompanied Cortés in his conquest of the Aztecs. Alvarado seemed to underestimate Tenamaxtli and he tried to storm Mixtón Hill without the necessary reinforcements which had not yet arrived from Mexico City. With 400 Spaniards and several hundred Indian allies, Alvarado was defeated by Tenamaxtli’s army which was estimated to be comprised of 15,000 men. 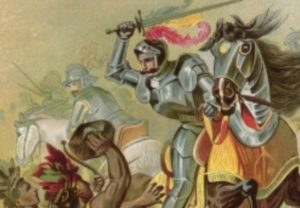 In early July of 1541 Alvarado died after being injured from a fall from his horse during his last assault on Mixtón and at that point the Spanish were afraid that the rebellion would spread out of Nueva Galicia and into the heavily populated former Aztec heartland. After a failed attempt to take Guadalajara in September of 1541, Tenamaxtli and his armies retreated back to the Caxcan homeland and into the mountains. Viceroy Mendoza then led an army of 450 Spaniards and thirty to sixty thousand Indian allies into Caxcan territory to take care of the situation once and for all. This was November of 1541. Antonio de Mendoza was ruthless in his pursuit and punishment of the rebels. He and his army went town by town and gave no quarter to native fighters and supporters. In late 1541 Tenamaxtli was even captured by the viceroy but sympathetic indigenous members of Mendoza’s army helped him escape. The rebel leader fled to the mountains and news reached him in the spring of 1542 that the Spanish had taken Mixtón and the war had ended. The story of Tenamaxtli did not end with the end of the Mixtón War and the rebellion had a terrible epilogue. Mendoza destroyed many of the Caxcan villages and towns as punishment for the uprising. Many of the people in what had been declared the “rebel settlements” were starved into submission and those who did not die in combat died of thirst or hunger. Those left alive were either executed or sold into slavery. Executions were particularly brutal; people were huddled together and had cannons fired on them, many were slowly stabbed to death and others were torn apart by dogs. The Caxcan culture and people were essentially decimated. Those lucky to have survived were sent to all different parts of New Spain, from plantations in the hot and humid Yucatán to the silver mines of the northern deserts. The small groups of Caxcans who fled regrouped in the mountains, but the Caxcan language didn’t survive and the remaining people intermarried with other native groups in the north. A revival of the Caxcan culture occurred in the state of Durango in the early part of the 20th Century, but this was mostly politically motivated as the country of Mexico entered its Revolution and tried to rediscover and make peace with its indigenous past. A Caxcan council was formed but the majority of the people who constituted the re-formed “tribe” had little connection to the people who had a vibrant culture before the Mixtón War. The language of the Caxcanes remains lost to this day. And what of the rebel leader Tenamaxtli and his co-commander the Zacateco named Diego? Diego is lost to history. There is no information on him beyond the Mixtón War. There is a definite postscript for Tenamaxtli, however. He spent most of the 1540s on the run, traveling primarily in the north among his former allies, the Chichimeca, and then eventually settling for a while in the modern Mexican state of Nayarit. Word had come to him about the authorities in Spain conducting an investigation of the Viceroy’s conduct during the Mixtón War. Tenamaxtli thought that if the Spanish were willing to investigate the king’s primary representative in all of New Spain for human rights abuses that he might have a chance to present a case to the Spanish authorities to get the lands and other property of his people restored to them. Tenamaxtli surrendered himself to a group of Franciscan friars who eventually turned him over to the Archbishop of Guadalajara, Pedro Gomez de Maraver. He was then transferred to Mexico City to the court of the new viceroy, Luis de Velasco, and appealed to him for his cause to be heard. Viceroy Velasco chose not to hear Tenamaxtli’s grievances and instead had him transferred to Spain to make his case before the Council of the Indies and the king of Spain himself. As justice goes, Tenamaxtli’s case dragged on, and a year passed without a formal decision from the Spanish courts. The last legal document pertaining to Tenamaxtli is dated August 7, 1556, almost 16 years after the beginning of the Mixtón War. Although court documents end here, the fate of the Caxcan people is well known and Tenamaxtli’s efforts in Spain did not produce any of the desired results. After 1556, the story of Tenamaxtli seems to end. Although not known for sure, he probably never got to see his homeland again and most likely died alone in Spain.